There is little more dangerous in this world than having to guide your vehicle across slick winter roads. Frozen roads are the number one cause of accidents in the winter. If you’ve ever had to navigate them, you are well aware why this is the case. It takes a special style of driving to keep you from wiping out when the freezing winds of winter are blowing strong. You may think that this article is directed mostly towards northerners. While you may be right in that regard, we also recommend that you read it no matter what climate you live in. 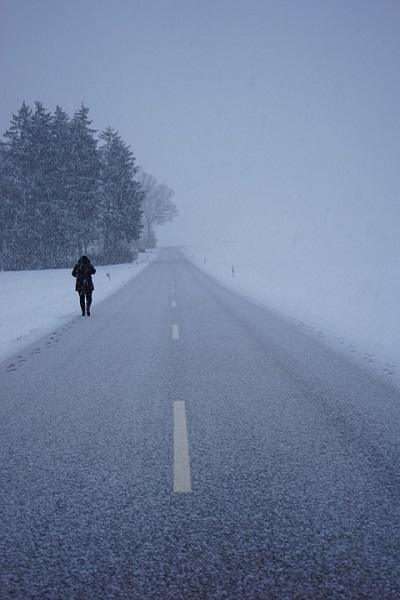 Driving in bad conditions is tricky, and if you’re unprepared it can be downright deadly. Most people will encounter ice at one point or another in their lives. Even the hottest places will have when you hit a certain altitude. This means that if you’re looking to start hiking, for example, you’re bound to run into frozen roads eventually. 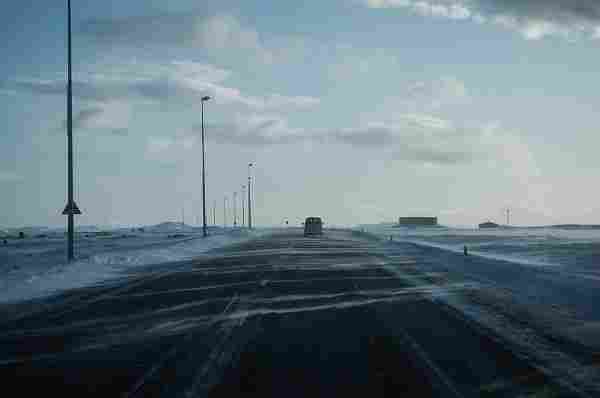 On top of this, if you do any traveling at all you may find yourself having to drive in varying conditions. One of these is probably going to be ice, especially if you want to vacation up north. There are so many winter attractions in New England, especially which attract tourists from around the country, and even the globe. If you’re going to be one of these people then keep reading. Slick conditions cause endless trouble across the country. It seems like there is snow more and more these days where it shouldn’t be… and with snow comes that see-through stuff nightmares are made of. In fact, even if it doesn’t snow you can still have slick conditions once it gets below freezing. You’ve probably noticed that when it gets cold where it shouldn’t the entire area pretty much shuts down. Do you remember the great dirt emergency that England experienced? A few years back they had to import an enormous amount of dirt from Spain because they simply didn’t have enough. This was because of an incredibly uncharacteristic stretch of frigid temperatures that left them scrambling to salt the roads. Whenever it snows down south they have this problem, too. Don’t take the ice lightly! No matter if you’re a New England native or a southerner come to visit for a spell. slippery roads are dangerous no matter what. So, make sure to read these tips and take them to heart. Your safety, as well as everybody else’s, depends on it. Get A Grip: How long has it been since you’ve checked your tires? If you’re heading into winter then you need to take a good, hard look at them! In order to tread carefully on slick roads, you’re going to need good, reliable tread on your tires. You can get away with them being bald during spring, summer, and even most of the fall. In the winter, however, that can prove to be a deadly decision on your part. We recommend investing in a good set of winter tires around this time of year. In the north, they are absolutely worth their weight in gold! 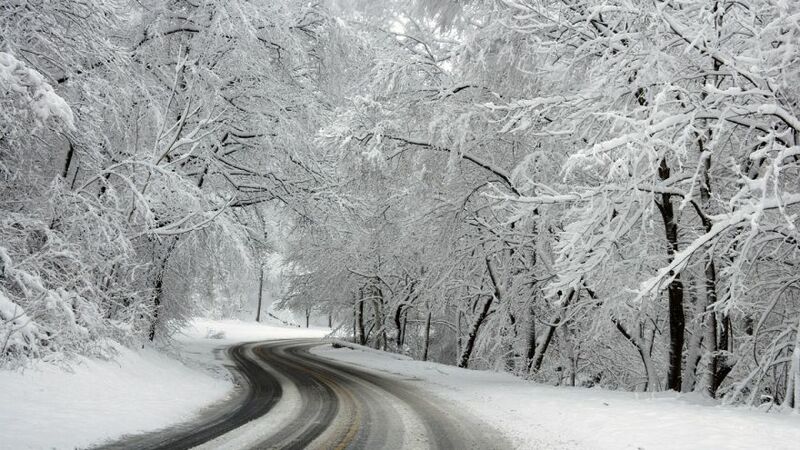 Winter tires can save you in a tough spot, and ensure your driving success all season long. They have better grip than all-year tires and are designed specifically for winter driving. If you haven’t looked into it or thought they weren’t worth the cost, it’s time to give them a try! Take It Easy: Are you a speed devil? If you’re liable to put the pedal to the metal then you need to remember to slow it way down. There’s something to be said about taking it easy, anyway! Relax, and give yourself plenty of space between your vehicle and the one you’re following behind. Don’t ride anybody’s bumper! Stopping time is drastically reduced on frozen roads, and this can cause accidents pretty easily. If you’re approaching a hill and it’s bad enough out you may want to allow the car in front to get all the way up before you attempt the ascent. Sometimes vehicles can slide backward, which means ramming into yours. This is how large pileups happen during ice storms, which are a fairly regular occurrence. Or, more regular than most northerners would like. In 2012, for example, there was an ice storm that knocked out power to almost the entire state of New Hampshire. Kids were out of school for almost two weeks, and some people didn’t get power back for upwards of a month. It was a messy situation! When the conditions are that bad out you really need to give yourself space and let your car coast. Don’t abuse your gas pedal, or you might find yourself in a pileup. Understand The Physics: Oh, boy. Just that word is enough to make some people shudder! Alright, not everybody is going to fully understand the intricate nature of physics in relation to driving. There’s a reason becoming a Physicist isn’t exactly popular as a career path. However, the physics you need to understand for this purpose is fairly simple! Essentially, if you start wiping out on a slick road, you do NOT want to hit the brakes. This can cause you to lose absolutely all of your control over the situation. If you only remember one thing, remember this: Brakes are bad. You want to steer gently in the direction opposite of the one that you’re sliding in. Once you’ve got the car going, try to pull over in a safe location. If there are snow banks everywhere, or you feel like you can’t stop your car without being somewhere dangerous, just keep going. It’s good to take a breather after a heart-pounding experience like almost wiping out, but you shouldn’t do so at the cost of your safety. Just keeping breathing, and go slower than you were before if you can’t take a break from driving. You’ll be okay! Keep Your Cool: When’s the last time you let a string of insults go because somebody cut you off? If you tend to be a more, ahem, aggressive driver then you want to rethink your entire approach. Dangerous roads are not the place for fiery tempers! You must maintain your cool at all times, and keep a level head. Having your wits about you is crucial to your safety and the safety of those around you. If you need to, pull over. You can do breathing exercises, swear up a storm, and wait until you’re calm enough to keep going. There’s no shame in realizing that your temper could get you in hot water, and there’s a lot of power in realizing that you can be responsible about it. Distractions Are Deadly: Do not under any circumstances think that you can use your phone in this situation. Keep it out of sight, and out of mind! This is a huge, huge, HUGE no-no that can absolutely get you killed. Even worse, you may end up ending the life of somebody else who has done nothing wrong. That’s a weight that nobody wants on their conscience! Distractions aren’t just limited to cell phones, however. You can easily find yourself glancing over at your GPS too often, or looking down to grab your coffee. We understand that your method of navigation is important, but try to listen for the directions rather than watching for them. Take a quick look if you need a reference for how far away from your turn is, but then look away immediately. Your eyes need to be on the road. Accidents happen in the blink of an eye, and if you aren’t watching for them it can have disastrous results. Don’t Forget About Drivetrain: Are you aware of what kind of drivetrain your car has? 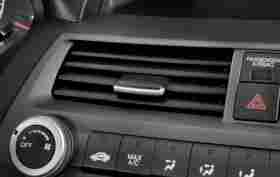 How does the transmission operate? You know that little “AWD” you see on the back of some SUVs? Do you know what it means? Will we ever be done asking questions?! Yes, yes we will be. We’re going to answer all of the ones, as a matter of fact, that probably just popped into your head. So, the “AWD” you may notice on some cars stands for “All Wheel Drive”. This may seem like common sense to some, but there is a strangely large amount of people who don’t actually know this. Essentially you have all wheel drive, rear wheel drive, and front wheel drive. The absolute worst in the snow would be front wheel. The best is, of course, all-wheel drive. This is because all wheel drive allows you to maintain control of all of the tires. This lessens your chance of losing your control when you start to slide. Most SUVs and trucks will come with AWD, but you can find a lot of sedans that do, too. If you’re moving to a location known for getting icy we recommend trading in your vehicle or looking into buying a second one. You’ll need all wheel drive for winter, especially if you’re just learning how to navigate icy terrain! Invest In A Beater: This is mostly directed towards those who are going to be moving permanently, or even just for the season. It’s a rather popular thing to do up north! Essentially, when winter comes around you look for a car that doesn’t have a helluva lot of life left. These make perfect practice vehicles for bad roads since it won’t really matter if you total it, or do significant damage. Sometimes all you need for your confidence is to know that you don’t have to worry about being several thousand in the red if you get into an accident. Beaters also save your vehicle a lot of stress. Driving in slick conditions can cause a lot of stress on your car. There’s also ice melter to worry about, and salt. These can be corrosive to your vehicle and sometimes damaging to the exterior. Start Carrying Salt: Worried about getting stuck? Worry no longer. The best tool to have in your arsenal of winter-related tools is salt. Of course, a snow brush is important, too, as is antifreeze and all of that good stuff. Salt, however, can get you out of most predicaments you can run into. Dirt is another great option or kitty litter. Ice melter is probably the best of all, although it can be more expensive. Keep a sack of it in your trunk for easy access in case you need to get out of wherever you’re stuck. Be On Top Of Your Brakes: This goes along with the tire tip we gave a little earlier in the list. You need to know how your brakes work, how well they’re working, and how long it has been since you replaced them. We have excellent articles all about when to replace brake pads, as well as some other tips related to the topic. We recommend you read those to have a more thorough understanding of how to keep track of your brake situation. You should also be very aware of how sensitive your brakes are. You want to be gentle with them, but not so gentle that they don’t work the way they should. Knowing your car’s stopping time is crucial, so get acquainted with it by paying attention while you drive. Remember The Invisible Dangers: Did you know that there is a deadly, silent killer that lurks on all winter roads? We call this danger “black ice”, and it can strike anytime, anywhere. Black ice is the reason you must stay undistracted, and go as slowly as you think you need to. Have you ever wondered where it gets its name? Simple! From the fact that the ice is basically invisible from your car since the patches blend right in with the blacktop. Even if most of a road is entirely clear this isn’t a reason to go as fast as you would on that road normally. 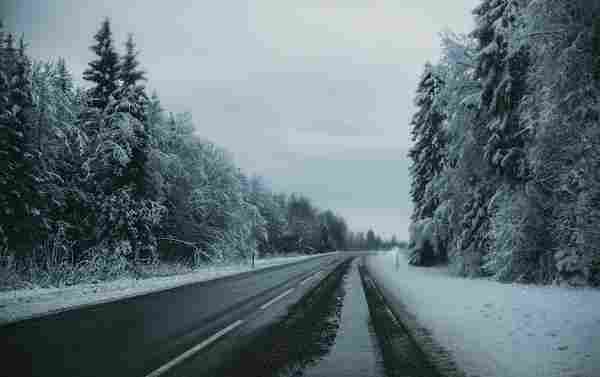 Black ice is so dangerous because it only appears in small patches, but those small patches are enough to send you right off the road. A lot of accidents happen because people hit slick spots on the road and aren’t prepared for it. Don’t underestimate the danger of a road that was totally covered in ice just yesterday! There are probably still slick patches to be wary of. Practice Makes Perfect: If you’re still unsure about driving when it’s icy out we recommend starting out in a parking lot. This will give you a chance to purposefully skid around a little so you can make sure you know what to do when it happens. It eliminates the danger of you hitting anyone or anything since you’re in a large, open lot. Go at night when there’s nobody around and it’s iciest. This will give you a good feel for how your car will move if you hit a rough patch on the road. It will also help you stay calm and collected even while you’re trying to save yourself from wiping out. If you can bring along an experienced driver then all the better! Instruction from a seasoned veteran of vehicles can be the difference between feeling prepared rather than scared. There might even be short driving courses available. Of course, we only recommend those courses if you are going to be moving permanently to a wintery location. They’re not really useful if you’re only visiting, and therefore not worth the money. 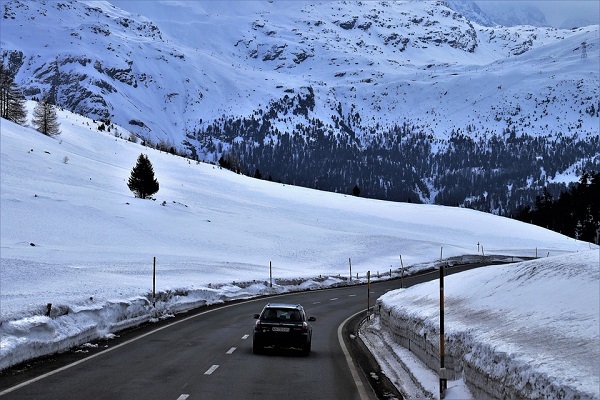 There are many other tips for general winter driving out there. 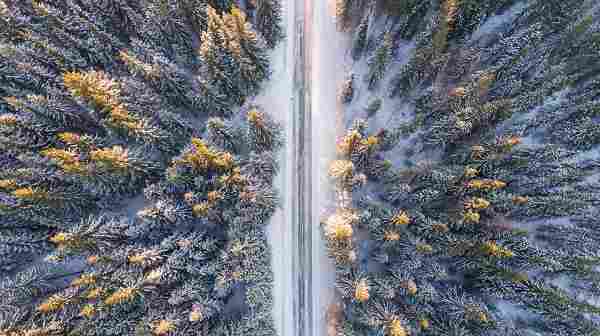 We hope that this article on icy roads was helpful to you, and gives you some semblance of confidence this winter season. Remember that people do this all the time, and in some areas, it’s more often icy than not. While it is definitely a dangerous situation to be in, it isn’t the end of the world. If you follow the tips we outlined above you’ll be a professional in no time! Keeping you safe is the number one priority, and we do whatever we can to help that happen. No matter what, you can count on us.